Oven Cleaners Twickenham TW - Commercial & Domestic Kitchen | Quality Property Care Ltd.
You care about the quality and healthiness of the food you and your children eat? Keep your cooker or oven is clean. The nasty burnt on carbon residue and grease and grime on your oven can be harmful to your food. To make sure your oven is perfectly clean and safe, call Quality Property Care Ltd.. We provide efficient and expert oven cleaning in Twickenham TW. Our domestic and commercial oven cleaning service is recommended and preferred by a growing number of homeowners and owners of professional kitchens. The professional oven cleaning company offers deep cleaning of all kinds of cookers, hobs, cooktops, ovens, microwaves, fridges, freezers, grills, extractors and other kitchen appliances at a very tempting oven cleaning prices. Call Quality Property Care Ltd. to receive your free quote within 2 hours. You can also use the online request form. Customer service is available, so go ahead! All detergents are of the best quality, and are absolutely child and pet safe, and environmentally friendly as well. 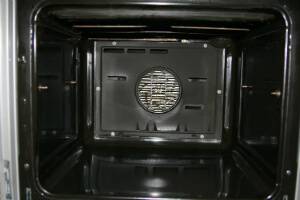 You can safely use the oven or the cooker right after it has been deep cleaned. Don’t waste any more time wondering about getting a professional deep oven cleaning, and book your service today! As an trusted cleaning expert that has been in the industry for 10 years now, Quality Property Care Ltd. is a professional oven cleaning company that can take care of all types of ovens. We dismantle the ovens for more detailed disinfection. In the end, we re-assemble them with no extra charging. Submit an order for faultless oven cleaning in Twickenham TW. Make your dishes taste better. We guarantee you to remove all the grime and burnt. We also eliminate the organic leftover residues and the sticky spots. Feel the difference in your shiny kitchen and enjoy your cooking with a freshened up and sanitised oven. It is cheap and easy now! The expert oven cleaners from Quality Property Care Ltd. will test your oven in your presence, and then proceed to disassemble it into parts. The cleaning technician removes all racks, trays, panels, pans, extractor filters, control knobs, fans, the light protector and dips them in a completely safe, professional and efficient cleaning solution for a few minutes. After that all the parts are scrubbed meticulously with wire brushed and sponges for some final cleansing from all the grease, burnt on carbon and grime. They are washed and left to dry. Then the oven is assembled back together. It is tested once again. It can be used for cooking tasty and safe food right after the cleaning is done. To make a booking call 020 3746 4287 and have our expert team of cleaners come over and clean for you. The customer support team is available. We work every day of the week, without any extra charges for weekend and holiday jobs.